Anglers are catching fewer bonefish in South Florida. FIU scientists say there are many factors that could be behind the drop in catches, with warmer temperatures, more predators, fishing and contaminants among them. 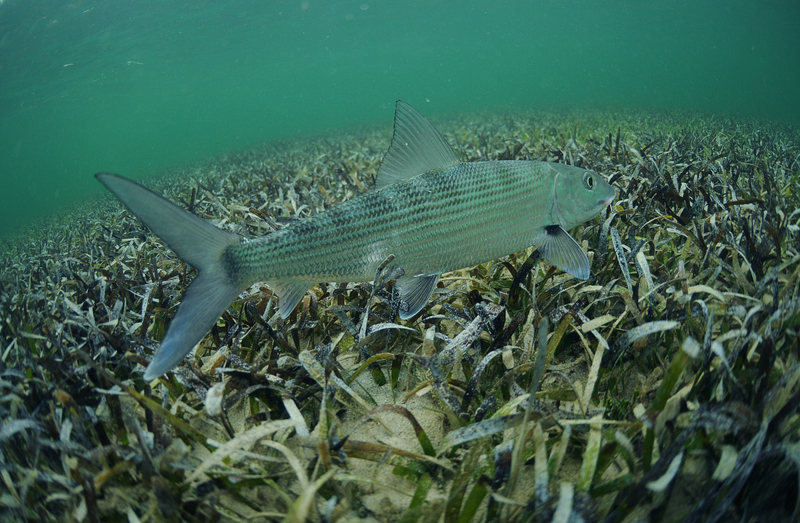 Adult bonefish take up residence in salty marine environments, but little is known about where they spawn or where juveniles live in South Florida. The scientists also found juveniles are spending time in low salinity environments early in their lives, particularly in Florida Bay. Nestled in between the southern end of the Florida peninsula and the Florida Keys, the bay is sensitive to changes in the quality, movement and distribution of water in the Everglades. The scientists call for addressing local and regional factors, conserving and managing adult and juvenile bonefish, and restoring freshwater in the Florida Everglades. Bonefish are great indicators of environmental health. Bonefishing is also a popular sport in South Florida, where they contribute to flats fishery with an annual economic impact of more than $465 million. The International Union for the Conservation of Nature lists bonefish as near threatened because of habitat loss, water quality decline, and commercial and artisanal fishing. Little is known about bonefish in South Florida, in part, because they are regulated as catch-and-release fishery and get little management attention. The information from the studies can help inform bonefish conservation and natural resource management. The FIU scientists conducted studies on bonefish fisheries in South Florida. Other scientists conducted studies on bonefish in the Bahamas, Belize, Cuba and Honduras. All of their efforts resulted in 23 studies published in a special issue of Environmental Biology of Fishes. The FIU studies and many of the studies in the special issue were funded by Bonefish & Tarpon Trust, a science-based, non-profit, conservation organization dedicated to conserving and restoring bonefish, tarpon and permit fisheries and habitats through research, stewardship, education and advocacy. The FIU studies were also developed in collaboration with the Florida Coastal Everglades Long Term Ecological Research (FCE LTER) program. Funded by the National Science Foundation and housed at FIU, the FCE LTER program leads some of the largest and longest studies on how climate, water and people impact the Florida Everglades.